The mere thought of beaches brings you peace and joy, and hence beaches are ideal for your honeymoon. Malaysia has a host of beaches that offer beauty and entertainment too. This is the main reason why Malaysia is considered to be one of the top honeymoon destinations in the world. Some of the beaches that you must visit in Malaysia while on your honeymoon tour include Tioman Island, Batu Ferringhi Beach, Palau Langkawi, Pangkor Island, etc. Apart from its natural landscape, the beaches also offer lot of recreational activities. They are ideal for those couples who want to spend a quiet time taking a walk and watching the sunset on the beach. You can also visit cities like Kuala Lampur, Penang, etc. while on your honeymoon in Malaysia. Singapore exudes luxury and vibrancy, and hence considered to be an ideal spot for honeymooners. There are several romantic places to visit and things to do in Singapore while on your honeymoon. The Butik Batok Town Park, Changi Point Coastal, Marina Bay Sands, the Singapore Flyer, etc. are some of the places that you must visit when you are in the city with your newly wedded wife. The whole city looks magical, especially in the evening, and you would not find problem in finding a romantic location to spend some quality time together. When you are in Malaysia for your honeymoon, you would want to take your wife on a romantic dinner at least once a while. The beaches of Malaysia have several restaurants that serve delicious Malay cuisine. But not all of these may have a romantic setting. Hence, it is important to find a restaurant that serves good food and has a lovely, romantic ambience too. You will find several restaurants in Kuala Lampur and other areas of Malaysia that offer a great view and a variety of food choices too. Some of the restaurants that you must try include Lafite, Nerovivo, Kampachi, The Apartment, etc. You must also try the street food that Malaysia has to offer. A romantic dinner with your spouse during your honeymoon goes without saying. Moreover, Singapore gives you the opportunity to create some magical dinner date experiences. Check out The Chocolate Bar in the Sands SkyPark Hotel for a chocolate treat with some beautiful and delicious handcrafted desserts. If your partner is not a chocolate lover, take her to the Cable Car Ride in Mount Faber where you can have a romantic candlelight dinner while the cable car moves above the city. There are a lot of things to do in Malaysia for couples. The beaches of Malaysia offer several recreational sports like diving or snorkelling, parasailing, etc. You can also go for white water river rafting in Malaysia with your partner. Go on a dinner cruise with your loved one where you can have a delicious dinner of Malaysia dishes while enjoying a beautiful sunset. Overnight cruises are also available for those interested. Some other activities that couples can enjoy together include sailing on a private boat, getting a couple massage right on the beach and enjoying a spa experience together. Couples can also go sightseeing in some of the cities and towns of Malaysia. Singapore offers lots of activities that couples can do together while on their honeymoon. Stroll along the lake in Little Guilin Park where some of the lookout points are as high as a building with 10 storeys. You should visit the Canning Trail National Park where can walk with your partner and get to know about the history of Singapore. Spending time on the beaches of Sentosa, cruising down the Singapore River, strolling through the botanical gardens, playing with the dolphins at St. John's island, etc. are some of the things that you can do during your honeymoon in Singapore. Malaysia has lot of malls and street shops that sell clothes, electronics, souvenirs, etc. at reasonable rates. Some of the malls that are the Pavilion, BB Plaza, Starhill Gallery, Berjaya Times Square, etc. Malaysia is a great place for bargain shopping. Most women enjoy shopping, and taking her out for shopping during your honeymoon would probably be one of the best things you could do for her. Singapore is the place where you could get the latest products (even branded ones) at the best prices. Some of the shopping places that you must try are Mustafa Centre, Far East Plaza, Anchorpoint Shopping Centre, Bugis Street, etc. 2 nights stay in Kuala Lumpur with Breakfast. 3 nights stay in Singapore with Breakfast. 2 nights stay on Cruise with all meals. Arrive in the beautiful city of Kuala Lumpur, check- in at your hotel and relax. Be ready at 1400hrs to explore the beautiful city by a luxury bus. Grab a quick breakfast at the hotel and leave at 0900 hrs for a full day sightseeing at the scenic Genting Highlands. You are sure to love the exciting day. Come back in the evening and relax. Have a tasty breakfast at the hotel and leave for the majestic city of Kuala Lumpur by luxury coach and enjoy a scenic tour. Check in your hotel and relax. At 1800hrs get ready for an adventurous Night safari tour. Have a delicious early breakfast at the hotel and depart for the Singapore City tour at 0900 hrs. 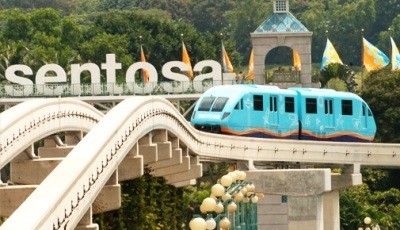 The scenic Sentosa tour will start at 1400hrs. Grab a quick bite of breakfast and get ready for a full day exciting tour of the Universal Studios theme park. Have breakfast and start your voyage on a 2 day on Cruise Ship(1st Day). Our representative will drop you till the cruise port where you will be escorted to your cruise ship. The day marks the end of the beautiful journey and our representative will arrange your transfer from the cruise port to the airport.